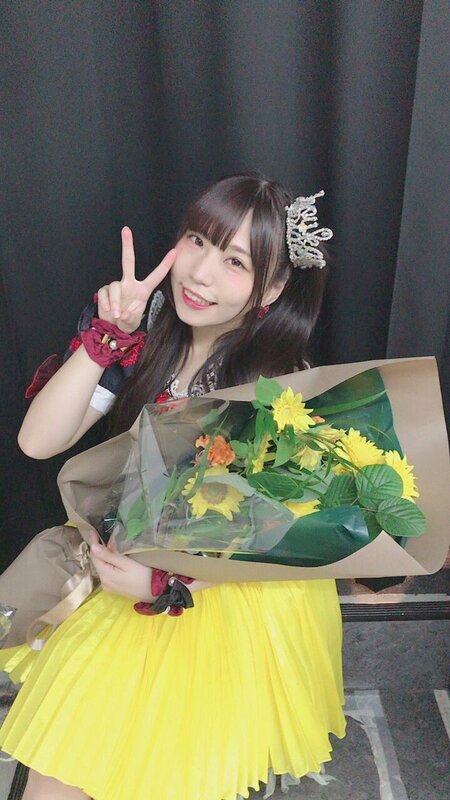 Today on August 12th 2018, Shirosaki Himari graduated from Houkago Princess after a four year run. 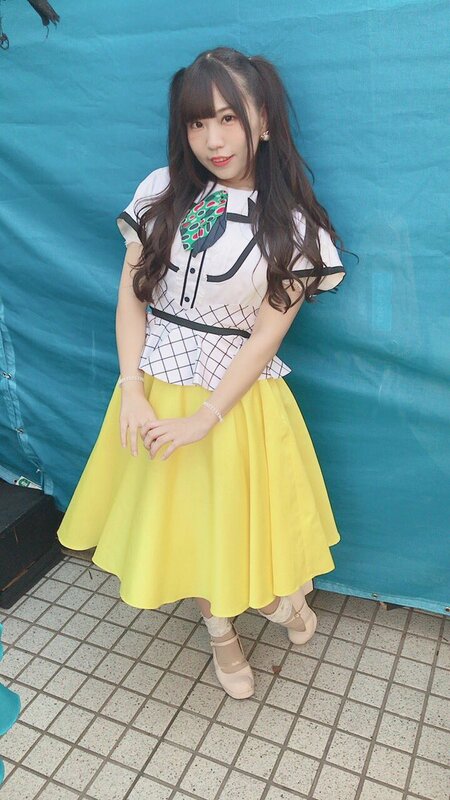 A 6th generation member, Himari joined HouPri as an Apprentice and then Candidate in June of 2014, before finally being promoted to the Regular lineup on June 21st, 2015. Despite this being her final chapter however, Himari has lead a wonderful life as an idol. 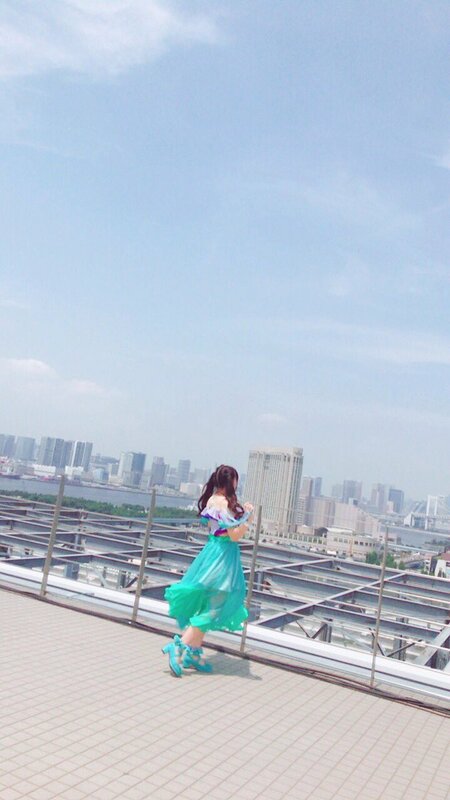 She has watched HouPri grow from a small indies group to something bigger, and though she has not held the limelight as much as other members, she has still had her time to shine and enjoyed every moment of it. There is no doubt in my mind that after this day, Himari will be remembered fondly by both her fans and the current, past and up-coming members. Despite this being the end of the road for Himari as a HouPri member though, I do wonder what the future will bring her. Since announcing her graduation, Himari herself has admitted that she isn't sure about what she will do, but I am confident that she will achieve some amazing things. Amazing things in another idol group, perhaps. Honestly, I don't think that Himari will keep quiet for long. Though she herself has questioned what she wants to do for herself after graduation, I believe that she might return to another group one day. She's such an enthusiastic, bright and fun girl, someone who fits the stage quite nicely, and despite not always being at the front in performances, Himari is undeniably eye-catching and has the potential to front a group. She's not just cute I believe, but persistent and willing to work hard. And yes, perhaps I would like to one day see her front a group in the idol industry, whether they're well known at Ruido K2 or located in a basement, unknown to most. Whatever the case my be, I would be happy to see Himari back in the idol industry and trying her hardest, applying all her skills from HouPri to a new setting. 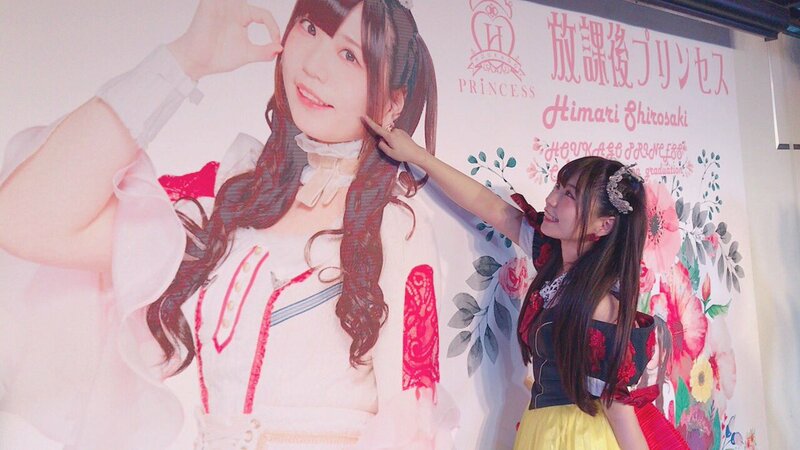 Himari has been a member for 4 years, and for 4 years I have followed her journey from Apprentice to Princess, and I'm going to miss here. As Himari's generation mate, Maika, said in a tweet, it'll be like there is a piece missing from the group after today. To this I whole-heartedly agree, because Himari has been a part of the group for a while now, a core member who shined in her own unique way and created beautiful memories with everyone during live performances and in music videos. I will miss her smile. I will miss her artistic creations she put on her shirts. I will miss hearing snippets of her voice in songs. I will miss so much more than I realise, and I know that when the new single for Houkago Princess comes around, it will look weirdly empty without Shirosaki Himari standing there, cute as a button with a radiant smile on her face. I feel differently to Himari's departure than I do Mayumi's. Though Mayumin is someone I adored greatly, she wasn't a part of Houkago Princess for as long as Himari, nor was she a part of Houkago Princess like Himari was. It's only now that I've realised what Himari's graduation means to me, and I will really miss her and find the up-coming single release weird without her presence or her smile. She may not be my favourite Houkago Princess member, but at one point she was a favourite. 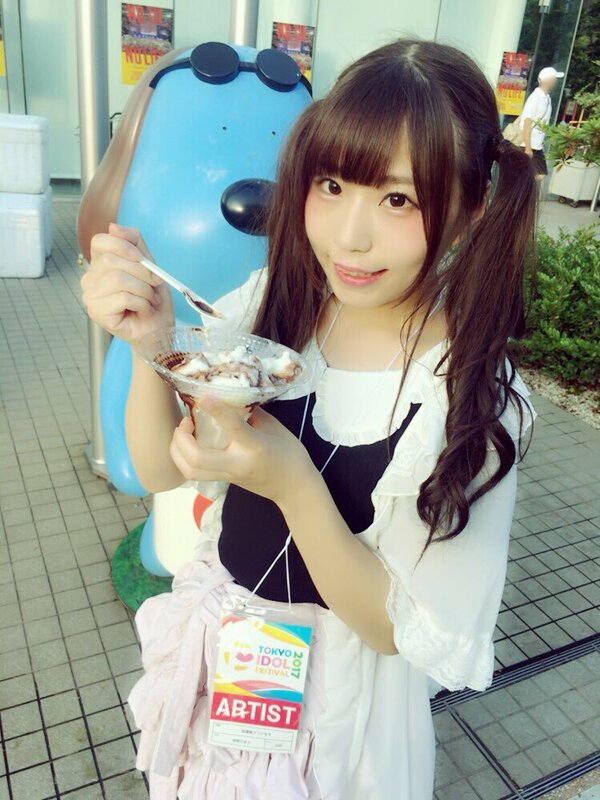 I love Shirosaki Himari, and despite how much my 'favourites' for the group fluctuates, there will always be a place in my heart for Himarin. She is more than a cute girl who adores cosplay and Sailor Moon, and I know that from this day forward, Houkago Princess will feel a little empty without her. When you are a part of a group for 4 years, it starts to feel strange when you are no longer a part of rehearsals, costume fittings, MV shoots or photo shoots. It will honestly be hard to replace her presence. 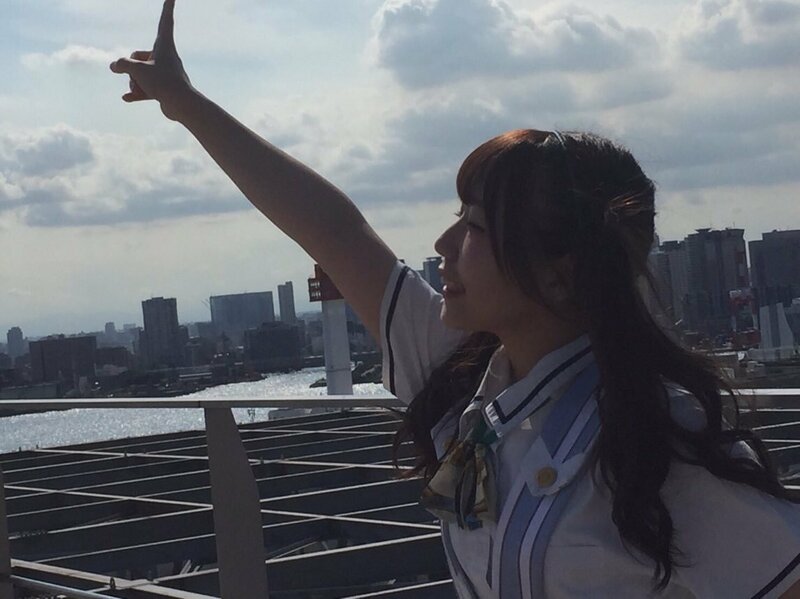 Still, all I can do right now is wish Himarin all the luck in the world from my side of this planet, and hope that she one day returns to us all with a gracious smile and a new song to sing. It's what I wish for, and it's what I look forward to if it ever happens. The dream of being a Princess won't end once the book has come to a close, and I hope that Himari remembers this in her new journey. For 4 years of your life, dedication, smiles and hard work, thank you very much. I hope your fans can see you again once more Himari, and I will continue to wish for your presence on a stage in the near future! "After 4 years, thank you for supporting me! Congratulations, Himari. We will miss you.